Check out the latest Gear, Trips & Tips Video in your iFish Alberta, Sask, BC or Ontario App – We captured a short video of Rapala Pro Staff Steve Meredith showcasing the North Coast Kayak Rod! We’ve been seeing an significant increase in kayak angling lately and wanted to give our users some insight on a great rod for 2015, the North Coast Kayak Rod. We shot this video along with the other gear vids at this years Edmonton Boat & Sportsman Show. The App Door, developers of the successful iFish Texas & USA App have just released the latest outdoor app for the Texas Parks and Wildlife Department. 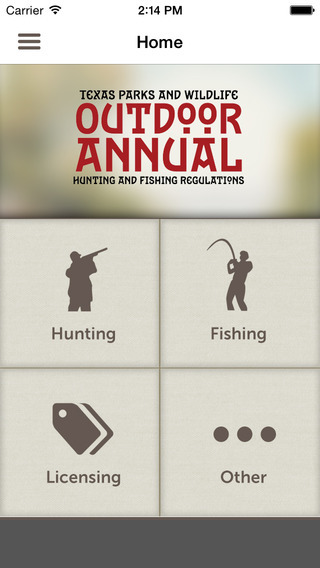 The Outdoor Annual features the Texas Hunting and Fishing Regulations and is available now Free for iOS and Android. 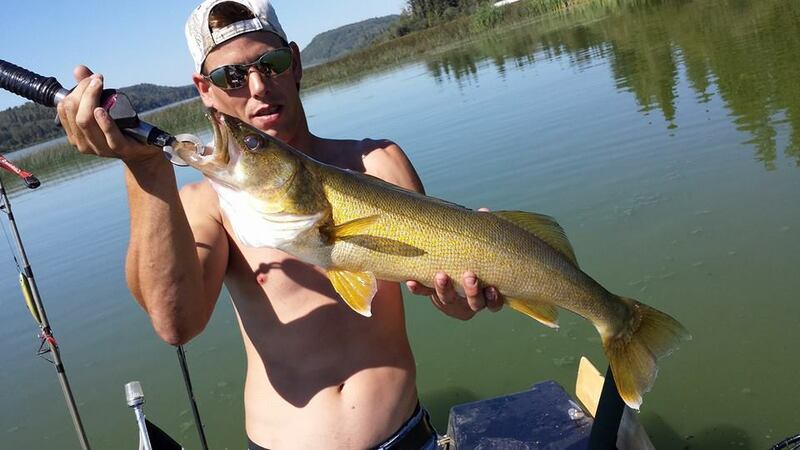 Let’s see your WALLEYE photos for #WalleyeWednesday! 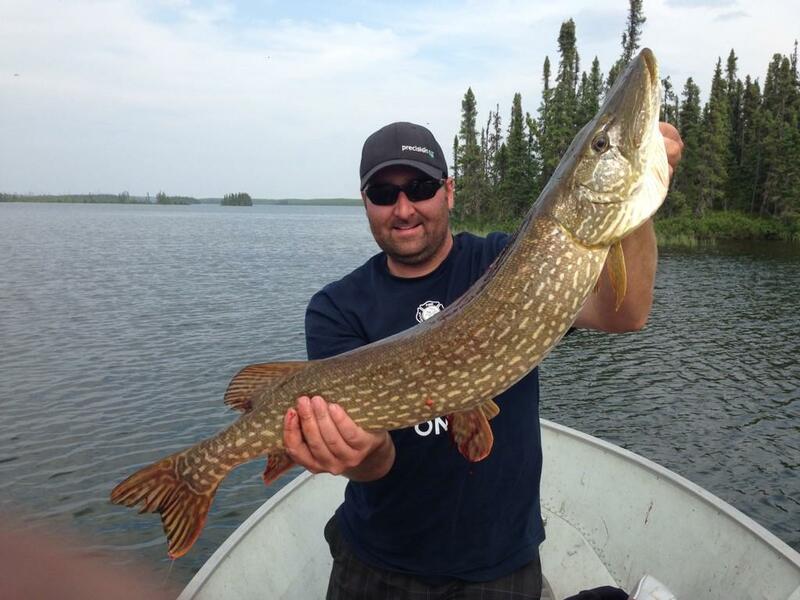 Like our page(s) on facebook & send them in, be sure to include the waterbody you caught your fish at! The Latest iFish Magazine is out of our hands & into yours! The Summer 2014 Issue is your ultimate guide to fly fishing; with articles from local Alberta Angler Mike Zilkowsky, Fly Craft Angling’s Phil Rowley, & Lady Angler Rachel Moffatt. Check out the iFish Team’s favourite fly fishing patterns for this summer, pages or user’s photos, a mouth-watering trout recipe & so much more. Chef Steph’s Recipe of the Week.. mm Oven Roasted Trout with Lemon Dill Stuffing.. need I say more? 2. Toss bread crumbs with onion, dill, lemon zest, garlic and half of the olive oil. Season with salt and pepper to taste. 3. Press stuffing into the trout, then brush the trout with the remaining olive oil and season with salt and pepper. Place trout onto prepared baking sheet. 4. Roast in the preheated oven until the skin of the fish begins to brown, and the flesh flakes easily with a fork (about 20 minutes). Recipe from Outdoor Canada, mm this one sounds yummy. 1. Place basil, garlic & pine nuts in a food processor and pulse until coarsely chopped. 3. Add cheese and pulse until thoroughly mixed. Set aside. 1. Toss diced tomatoes in oil & vinegar, let stand at room temperature for 30 mins. Season tomatoes with salt & pepper, set aside. 3. Reserver 1/4 cup of pesto to spread on cooked fillets; thin remaining pesto with 1/2 – 1 cup of water used to cook ziti pasta. Toss pasta in thinned pesto. 4. Season fish strips with salt and pepper & drizzle with olive oil. Bake in over until flesh is cooked through. 5. Remove fish from over and spread 1/2 – 1 tsp pesto on each strip. Place fish on a bed of ziti pasta & top with diced tomatoes. Chef Steph’s Recipe Pick of the Week- Walleye! We’ve been getting so much walleye love lately so I decided to make our first recipe of the week a walleye dish! Combine flour, cracker crumbs & seasoning salt; set aside. Sprinkle fillets with lemon pepper, then wrap each cube with a bacon slice, secure with a toothpick and cover with mustard. completely cover the cubes with the flour mixture. Deep dry in canola oi until golden brown. (each 1.5″ cube should take about 1-2 minutes to cook if the oil is at the right temperature. Serve with deep-fried potatoes, beans and bread! Check back next week for my next yummy pick! Post your recipe in the iFish Forum! Join the iFish Forum Now!